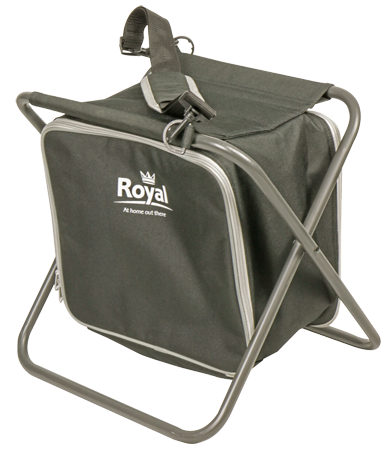 A unique stool that includes an integrated 20L coolbag, ideal for keeping food and drinks cool on camping or fishing trips. With a steel frame, the stool is secure and resilient and designed to last. Made with convenience in mind, the stool easily folds away for compact storage and comes supplied with an adjustable carry strap to ensure it is easily transported.